Russia's embattled sports minister was under new pressure to resign Monday after a report into the Vancouver Olympics found he bought five breakfasts per day in a startlingly lavish stay at the Games. The report by Russia's federal audit chamber said Russia spent a total of 6.2 billion rubles (200 million dollars) on the 2010 Winter Olympics, which reaped a mere three gold medals for the former snow superpower. But most embarrassing were the revelations over the expenses of Sports Minister Vitaly Mutko, who was lampooned in the press after the Games but kept his job even as a number of top sports officials fell on their swords. It said that Mutko had stayed at one of Vancouver's most luxurious hotels, the Fairmont Hotel Vancouver, in a "courtyard suite" costing 1,499 Canadian dollars (1,400 US dollars) per night for 20 nights. Besides this, he also paid for 97 vouchers for breakfast in the course of his stay at a total cost of 4,800 Canadian dollars (4,500 US dollars) -- the equivalent of five breakfasts per day. The report dryly pointed out that the maximum amount recommended by the Russian finance ministry for officials' accommodation expenses in Canada was 130 US dollars a day. It said Mutko had been accompanied by his wife Tatyana and as of late May she had still not paid for her ticket. Mutko told the Interfax news agency that the reports of his expenses were "complete nonsense and nitpicking". He also said he was not to blame for the expensive hotel room, saying he had not chosen the room himself but it was allotted to him by the Olympic organisers as the head of the Russian delegation. But leading financial daily Vedomosti said that the scandal could hasten the minister's departure. 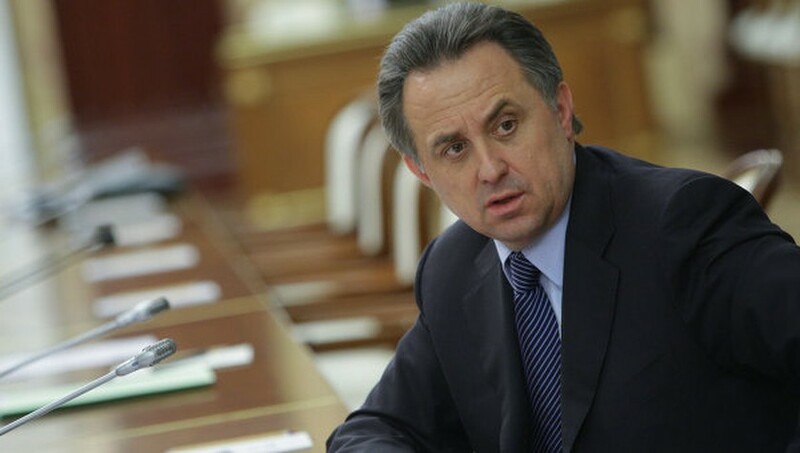 Mutko's resignation is now inevitable as well as the opening of criminal probes into the conclusions of the audit report, a source close to the presidential administration told the newspaper. A member of the sports committee of Russia's upper house, the Federation Council, Amir Galyamov, said that senators would ask Medvedev to sack the minister. The Games were a calamity for Russia, used to sweeping the board in several sports in previous Olympics, and raised worries at the highest level about its performance when it hosts the next Winter Games in 2014 in Sochi. The audit report also complained that outsiders with no apparent sporting significance had been accredited as members of the Russian team. Pop producer Yana Rudkovskaya, the wife of skating superstar Yevgeny Plushenko, was listed as part of the ice skating team, while the daughter of the then skating chief was listed as a translator for the snowboarding team. Meanwhile, it said a visit by Russia's 2008 Eurovision Song Contest winner Dima Bilan and his musicians to promote the Sochi Games in Vancouver had cost 2.4 million rubles (77,000 dollars), excluding transport costs. Bilan and his producer -- who happens to be Rudkovskaya -- spent 10 days in Vancouver even though they only worked on three of these, the audit office said.